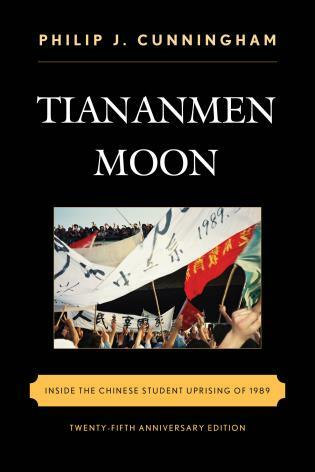 Cunningham will release a new edition of Tiananmen Moon this May in advance of the 25th anniversary. • Read Tiananmen protestor and scholar Wang Chaohua’s account of “The Big March of April 27, 1989,” which marked a turning point in the makeup of the protestors. While the initial protests were filled with university students, the April 27 march brought in workers and other members of the general public. The Tiananmen protests are still remembered as a student-led movement, but actually, it is likely that the majority of the people killed on the night of June 3-4 were not in fact students, but members of other groups who had joined the movement. What held the protesters together was the very fact that theirs was a protest movement, without a clear platform. Had there been one, far fewer people might have participated – for the solutions to China’s economic ailments favored by different groups among the protesters were very much at variance. Some of the protesters who came into the streets – in particular the leading intellectuals and most of the students – wanted the economic reforms to proceed faster. Others among the protesters contrarily had discovered that the economic reforms had not been to their advantage: particularly those in the working class whose incomes were declining, and those whose jobs were no longer secure or who had already been laid off. Only a fragile unity was pasted together among these groups. The better educated had little sympathy for the circumstances of the laborers, and for much of the time the university students sought to keep the working class at arms’ length, preventing workers from entering the perimeters of their own demonstrations. All the same, more than merely anger at economic woes and corruption held the various protesters on the same side of the political divide. They did project a vague common vision of what they wanted, and it was summed up in the word “Democracy.” The word was blazoned on a multitude of their banners. But by “democracy,” few of the protesters meant one person, one vote. Most of the university students and intellectuals had no desire to see the nation’s leadership determined by the peasants, who comprised a majority of the population. Many urban residents held the rural populace in disdain, and their fear was that the peasants would be swayed by demagogues and vote-buying. • The biggest and most widely covered protests were in Beijing, but the spring of 1989 saw student protests in major cities across China, including Chengdu, Guangzhou, and Nanjing. 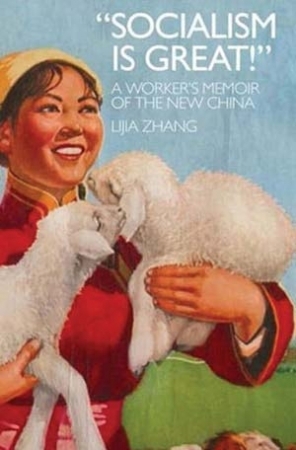 Journalist Zhang Lijia (author of the book “Socialism is Great!”: A Worker’s Memoir of the New China, which I highly recommend) was then working in a factory in Nanjing, where she organized a demonstration in late May. In “China’s Growing Cage: The Legacy of Tiananmen,” she looks back on her involvement in the movement and shares her continuing, if tempered, optimism regarding China’s future. Viewing the documentary again gives one a sense of the tragedy of missed opportunities. River Elegy occupies a point on a fleeting historical trajectory that fizzled in 1989. It is a time-capsule relic of the chaotic but hopeful 1980s, when something like an honest dialogue between the leadership and the people seemed at least a possibility. A question is: How did such a program come to be aired in the first place?